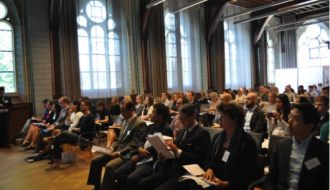 The conference took place at Leiden University’s Academy Building and was organised on the occasion of the publication, on 6 July 2016, of the project’s final research report, entitled North Korean Forced Labour in the EU, the Polish Case: How the Supply for a Captive DPRK Workforce Meets Our Demand for Cheap Labour. 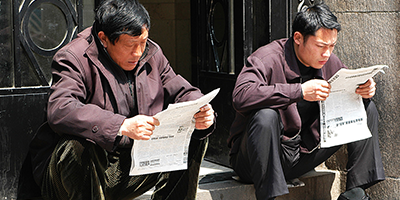 The report, reveals how North Korean labourers are being exploited in the EU, focusing on Poland. 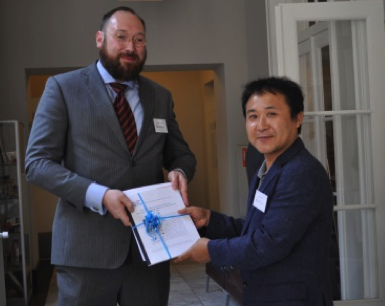 The meeting was kicked off by Prof Remco Breuker, head of the project, and Mr Jang Jin-Sung, a prominent dissident of the North Korean regime and formerly visiting professor of North Korean Studies at Leiden University, who received the report on behalf of the North Korean population. Mr Jang also brought forth never seen footage and interviews with North Korean workers who had fled their working sites. 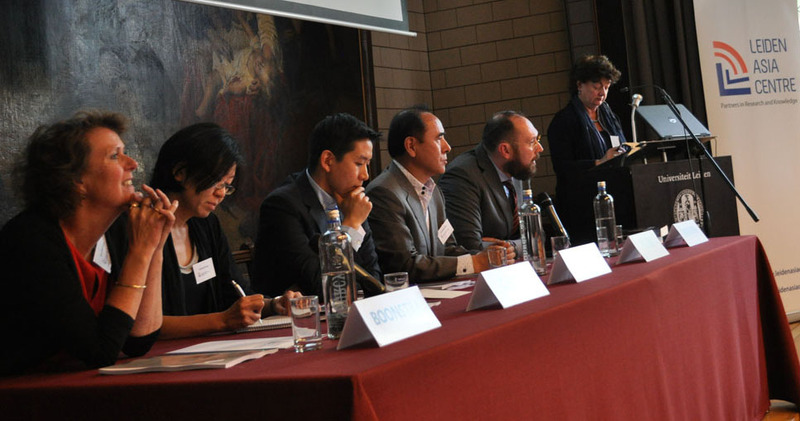 Professor Leo Lucassen (Leiden University), an expert on labour migration held a keynote speech, explaining how forced labour and slavery are of all places and all times, while VICE Germany, represented by one of the documentary makers, Mr Sebastian Weiss, provided a shortened version of their documentary “Cash for Kim”, showing the working sites and conditions of North Korean labourers in Poland. Finally, the audience, consisting of over 90 people, had the chance to ask questions. The conference was followed by drinks providing further opportunities to talk to the to members of the project team.